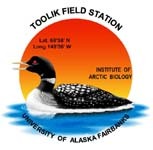 » ARCSS/TK water chemistry and epilithon characterization from the Noatak National Preserve, Kelly River region (2010) and Feniak Lake region (2011). We measured total suspended sediment (TSS) in the Reference and Impacted reach using standard methods (USGS method I-3765). For each sample, a known volume of stream water was filtered in the field through a pre-dried (105°C) and pre-weighed 47-mm diameter glass fiber filter (GF/F) and re-dried and re-weighed. TSS was calculated as the difference in filter mass before and after filtration divided by the volume filtered (mg L-1). Turbidity sensors (DTS-12 from FTS Environmental, Victoria, BC, Canada) were installed in conjunction with automated ISCO samplers (Teledyne ISCO, Lincoln, NE, USA) to collect 5-minute turbidity measurements in the Reference and Impacted reaches for the 2010 season only. A WTW handheld meter was used to measure pH, Specific Conductance, Temperature &amp;amp;amp;amp;amp;amp;amp; Dissolved Oxygen. Water samples for chemical analyses were collected as grab water samples. All water samples were filtered through pre-combusted (450°C) 25-mm diameter GF/Fs with a nominal pore size of 0.07 um, with the exception of the water designated for base cation analyses, which were filtered with nylon syringe filters with a pore size of 0.45um. Separate samples were taken for each analyte. Samples for soluble reactive ortho-phosphate (SRP or PO43--P), nitrate (NO3--N), and ammonium (NH4+-N) were frozen; samples for DOC (dissolved organic carbon), TDN (total dissolved nitrogen), TDP (total dissolved phosphorus); and base cations (calcium, Ca2+; magnesium, Mg2+; potassium, K+; and sodium, Na+); micronutrients and metals (aluminum, Al; iron, Fe; manganese, Mn; boron, B; copper, Cu; zinc, Zn; sulfur, S; strontium, Sr; lead, Pb; nickel, Ni; chromium, Cr; and cadmium, Cd) were acidified with 100ul 6N hydrochloric acid for every 50-mL of sample; and anions (chloride, Cl- and sulfate, SO42--S) and alkalinity samples were refrigerated. Samples were shipped back to the University of Vermont in Burlington, Vermont; the Ecosystems Center in Woods Hole, Massachusetts; or the University of Michigan for analysis within six to nine months. LTER Streams Protocols were followed. Definition: Type of sample location: TK- thermokarst, WT- water track above thermokarst, Stream.